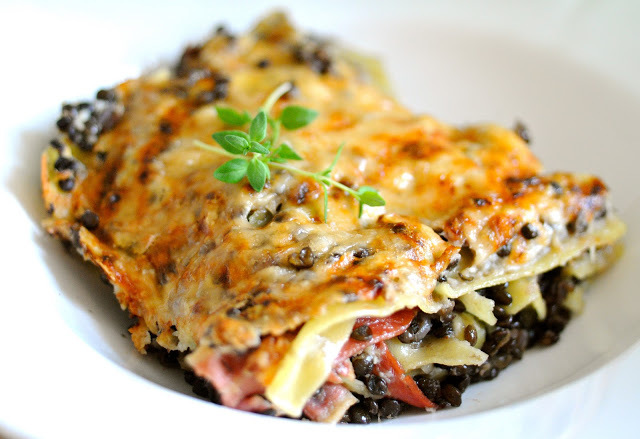 This is an easy lasagna recipe with lentils, bacon and cauliflower béchamel sauce. 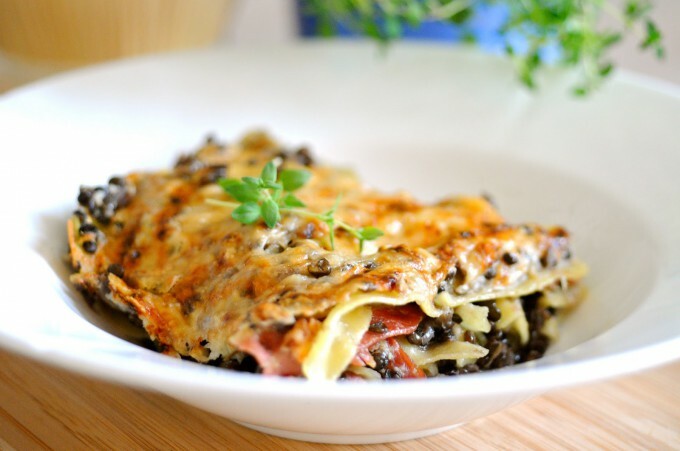 It is also one of the most healthy lasagna recipes I can think of. 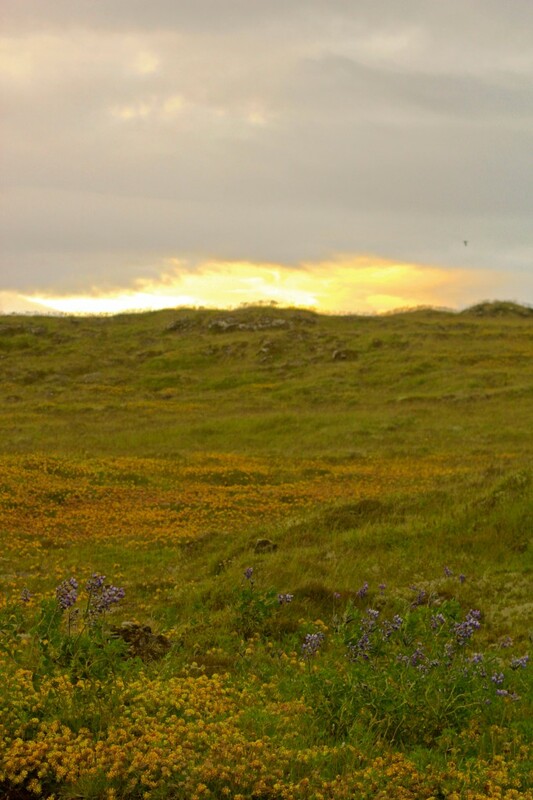 Do you know Beluga lentils? Beluga lentils are small black lentils that are packed with protein. They are one of my favorite lentils and I use them a lot in salads. 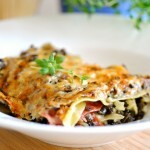 This time I have added them to my veggie lasagna, which makes it a healthy alternative to the classic lasagna with beef. The best thing about this lasagna is without a doubt the cauliflower béchamel sauce that is incredibly easy to make and tastes absolutely fantastic. It is just made of cauliflower, milk and cream and unlike the classic lasagna, you don’t have to make a roux sauce. For this recipe I have used a beautiful Danish cauliflower, which is right now in season. 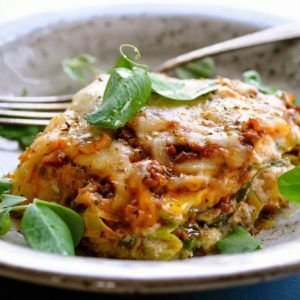 In fact this easy lasagna recipe is one of my favorite healthy dinner recipes from the Nordic Kitchen, it’s so simple and yet sooo good. My husband also loves it and so does my family. Rinse the lentils well and boil them in lightly salted water for approx. 20 minutes. Drain the lentils to remove excess water and mix the warm lentils with olive oil, fresh thyme, red onion, lemon juice and season with salt and pepper to taste. In a large pot, cover the cauliflower florets with water and cook until tender. Drain and use a hand blender to blend the cauliflower with cream and milk until you have a sauce, season with salt and pepper to taste. 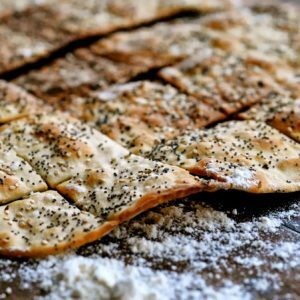 Prepare a baking sheet with parchment paper and line the bacon slices individually and bake the slices until they are cooked through, but not quite crisp. Prepare the lasagna by building in layers. In an oven proof dish, cover the bottom with the cauliflower béchamel sauce. Add a layer of lentil mixture. Next add a single layer of lasagna sheets. Repeat until you get half way. Add a layer of bacon and continue with the layers of sauce, lentils and lasagna sheets. Sprinkle the top with grated parmesan and bake at 375 °F for approx. 30 minutes. « Quinoa Porridge Recipe – A Delicious Breakfast!